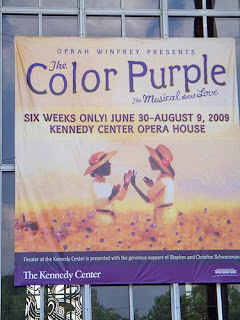 Outing to "The Color Purple Musical" with my sister yesterday. It was great! Close to completing my "Nanner" socks for the Wendy Johnson KAL. Spinning my last of the BFL for the Tour de Fleece. I ordered 2 more BFL rovings from "My Favorite Thing" shop on ETSY. I am not quite sure if I will get that spun up in time to take with me. As deployment gets closer, I am starting to decide what I am taking with me. Of course, first on my list is fibery related! I am pressed for space. Hope to take a reference book, a few skeins, and circs. BTW, just ordered a set of KP options and the additional case! I unwound my bobbin to my knitty noddy 10 July! Today, off the knitty noddy and all skeined up!! I am now spinning my BFL, "Romance" colorway. Yay...pretty colors. The last day of my 4 day weekend and I am spinning frantically!! My first Tour de Fleece! 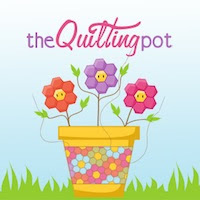 I joined the "Rookie 09" group on Ravelry. One bobbin of Mojave Merino complete, the second 3/4's finished. By midweek, I hope to be plying the two.